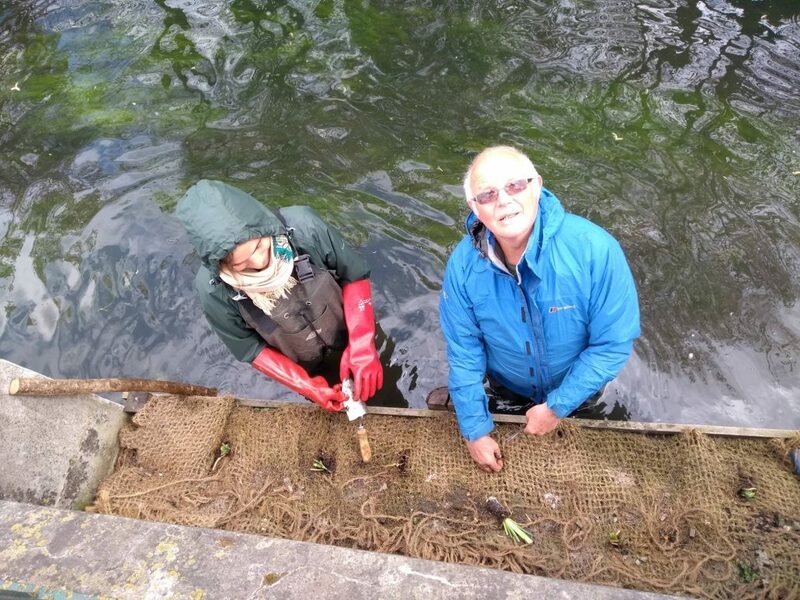 Canterbury volunteers were planting wetland plants in Canterbury yesterday. We joined forces with the Friends of Kingsmead Field to plant-up the banks of the river where it passes through their park. The banks were modified last year to improve the river habitat, part of a programme of works in the city centre. This programme also included the creation of river planters affixed to a solid revetment at North Lane, and we planted these too ,as in the picture. The North Downs Way – keeping it clear New Pond for Great Crested Newts!